Capt. 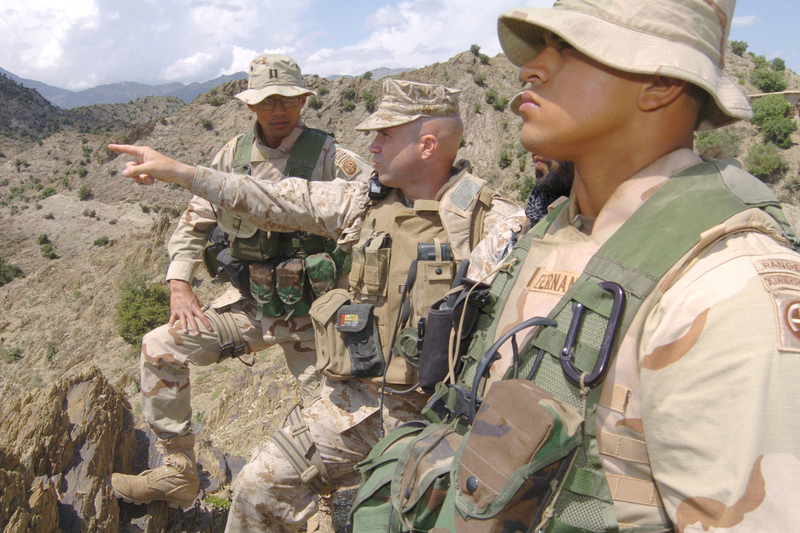 Ken Barr, commander of Weapons Company, 3rd Battalion, 3rd Marine Regiment (center), points out a terrain feature to Capt. Edward Hollis, commander of Company A, 2nd Battalion, 504th Parachute Infantry Regiment (left), and 2nd Lt. Kareem Fernandez, a platoon leader in Co. A, 2-504th (right), April 28 in Zambar, Afghanistan.